The Fun – Loving Musical Hit! Based on a true-story, Always … Patsy Cline is a showcase of 27 songs including “Crazy,” “I Fall to Pieces” and many more! After hearing Cline on the radio in 1957, housewife Louise Seger became an immediate, avid fan. A chance meeting at a concert brought them face to face. Over a pot of coffee, and through their subsequent letters, they forged a bond that would last until Cline’s tragic death in 1963. 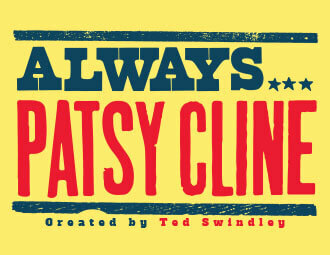 Always … Patsy Cline is a valentine to their friendship and a tribute to a great American music icon. Featuring the music of Patsy Cline!